Should Doctors Buy Google Reviews for Their Medical Practice? Should Doctors Buy Google Reviews for Their Practice? If you’re worried about the negative patient feedback that is drawing attention from prospective patients online, then it must be tempting to take a few shortcuts to get a quick fix. Perhaps, you may be wondering if you can buy Google reviews with 5-star ratings that can quickly bury the negative patient feedback and clear off the blemishes in search results. This explains why there is a growing market for businesses looking to buy Google reviews that are in fact, “fake reviews,” as they are posted under a random name and Google user who may or may not even be a real person. Healthcare providers who are struggling with negative reviews are increasingly getting drawn towards these 5-star review purchase services. 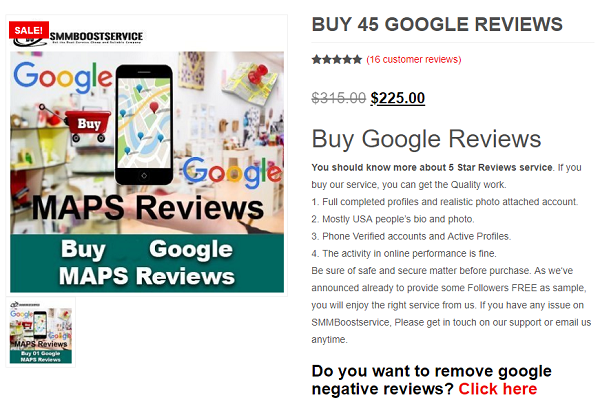 Service providers are luring them with the promise to deliver "5-star quality reviews" from "fully completed (Google) profiles and realistic photo attached account.” They also assure to provide reviews from users residing in the US, and even from a close vicinity to make it more relevant for local businesses like healthcare. You Should NOT Buy Google Reviews for Your Medical Practice. Here’s Why. Before you buy fake Google reviews, you should know about its short and long-term consequences for your healthcare business. Read on! 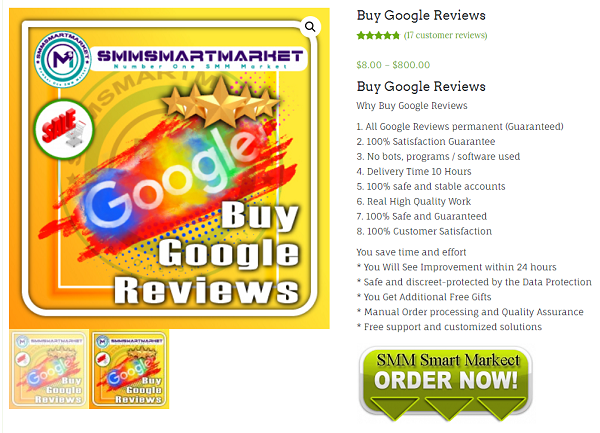 Buying (fake) Google reviews isn’t ethical. Healthcare businesses need to be ethically superior at functioning than any other business. Be it the patients, healthcare or medical communities, regulatory bodies, and even any responsible medical or general review sites out there, all of them consider selling or purchasing of patient reviews not just ethically wrong but also illegal. Google has indicated in its guidelines that it will consider a review fake and take it down if it doesn’t reflect a person’s genuine experience at a business location. The search engine giant also clearly prohibits offering or exchanging money in exchange for reviews. According to Google, businesses that do not follow these guidelines strictly are under a severe risk of getting blacklisted. During the past few years, regulators have become increasingly cautious about fake reviews, and there had been instances where they cracked down on fake online reviews. For example, the Federal Trade Commission (FTC) executed “Operation Clean Turf” in which they caught and slapped hefty fines on companies that were generating fake reviews online. Out of the 19 companies that paid a total of $3,500,000 as a penalty, eight were from health and related categories. No matter what those “Google review traders” say, you’ll end up receiving at least a few obviously-fake-reviews, which today’s tech-savvy health consumers can easily recognize. It will erode prospective patients' trust which can result in a decreased patient acquisition. If you think you can cheat Google with fake reviews to improve your search rankings, save your skills! Google has all the information about its users, and it can easily recognize whether the review posted by a user is fake or genuine by checking their recent online activities. As fake feedback doesn't tell the right story, there’s nothing you can learn about your areas-of-improvement. Genuine patient feedback, when understood collectively, provides valuable insights into the common patient experience issues or problems. It’s only by knowing the real issues that you can address them. Instead of buying five star Google reviews, try to earn positive patient reviews. We’ve already written about strategies on how healthcare providers can ethically earn positive patient reviews on sites like Google. For many, simply asking (verbally or virtually) their patients to write reviews works effectively. We also suggest going beyond just asking and facilitating your patients in submitting reviews. RepuGen is an online reputation management tool for doctors that help them get genuine reviews from their patients by facilitating patients through the review-writing process. RepuGen also allows your patients to directly submit their reviews and ratings to review sites of their choice. The review acquisition process on RepuGen is fully HIPAA-compliant, which means your patients’ personal health information is completely safe and secure. You don’t always (awkwardly) have to ask your patients to write reviews. RepuGen will send texts and emails to patients asking them to leave reviews. It saves your patients from manually posting reviews on review sites. RepuGen provides an option to post reviews directly from its interface. You can easily track patient reviews on multiple review sites using a single dashboard. You’ll always know when a new patient review goes online. This will allow you to respond (if necessary) ASAP. RepuGen’s sentiment analysis technology will provide valuable insights into the patient experience issues and problems that will allow you to address them effectively and efficiently. The improved patient experience, in turn, will create new patient acquisition opportunities that will help you grow your practice.